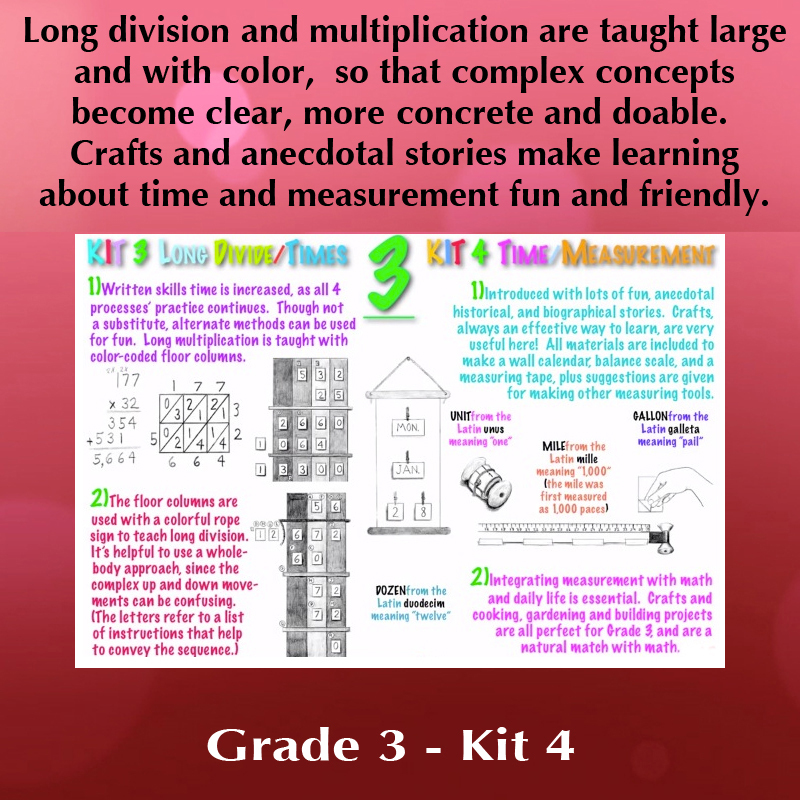 KIT 2: RHYTHMS N’ STORIES N’PATTERNS improves third grade homeschool math knowledge and skills using classic poetry, songs, limericks, and tongue twisters along with recitation and movement. 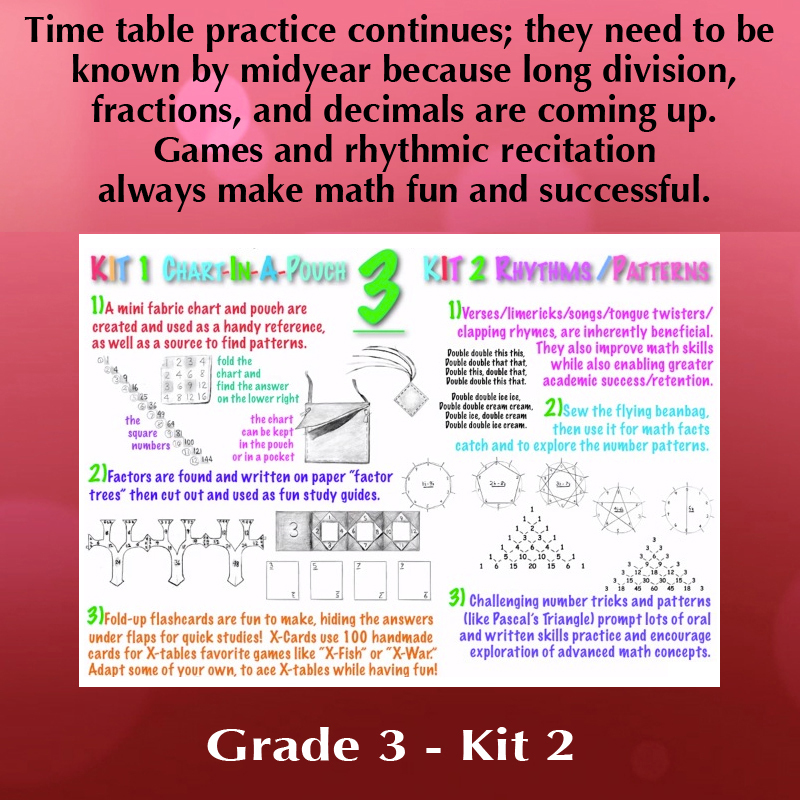 Combine skills practice with play, using familiar (and math-friendly) games. 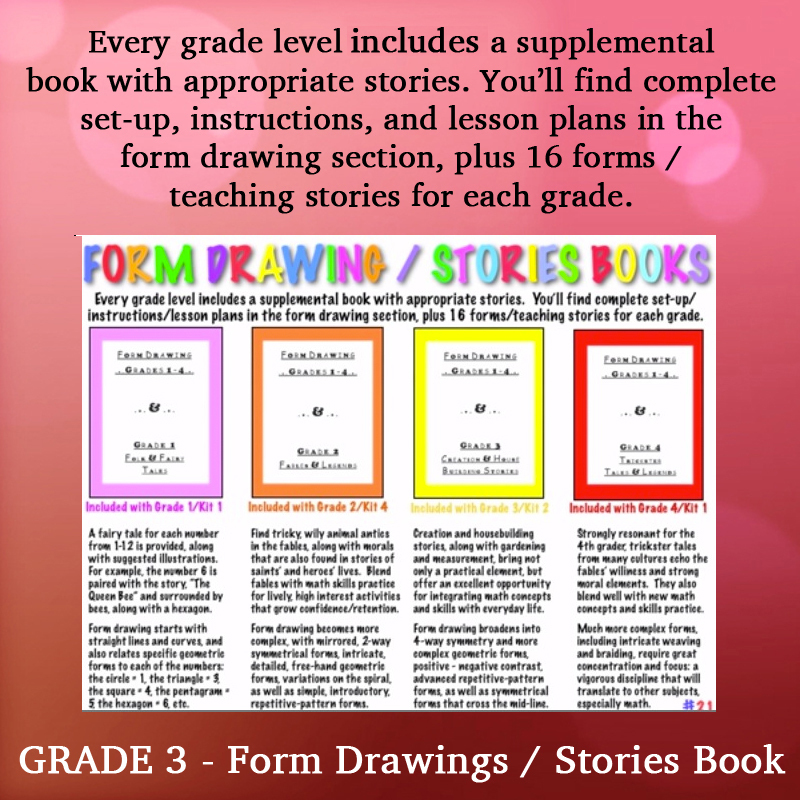 Form drawing as well as creation and house building stories are integrated with math concepts, and can be taught or told all year. 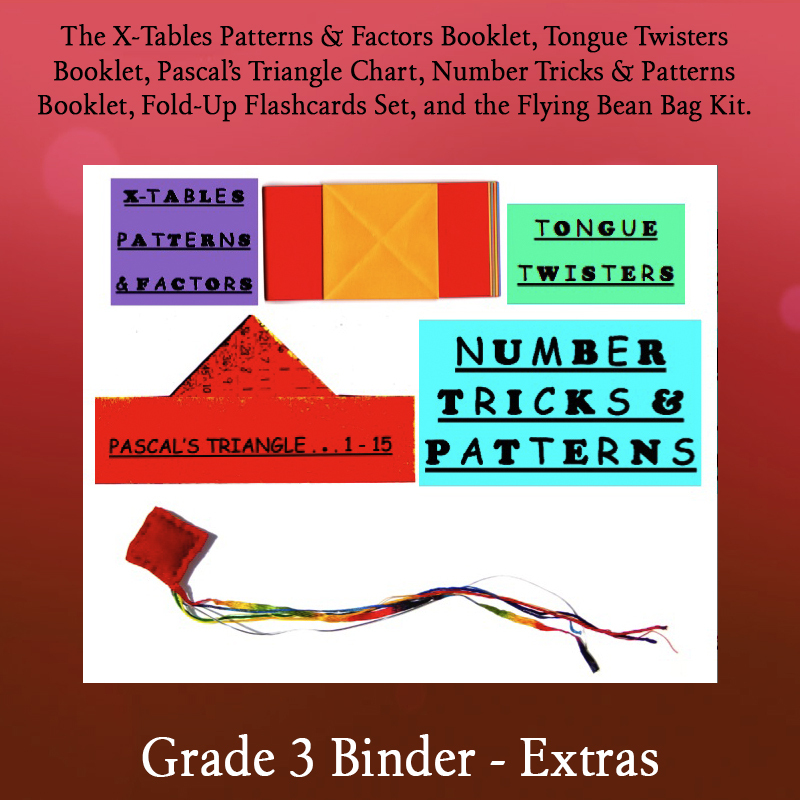 The number tricks and patterns include accompanying movement and illustration suggestions and ideas.